Create your own website with our intuitive website builder to promote your violin teaching business online. Use this platform to create your violin teaching business' website and dazzle your customers with a slick presentation, courtesy of Blackbell. With the Blackbell app, you can be sitting at a bar sipping a colada while running your violin teaching business, crazy right? Blackbell allows you to create your very own IOS or Android app - Your violin teaching website will merge into an app that your customers can find on the Apple App Store or on Google Play and from which they will be able to book your services. Or you can also skip the complications and use our native app, your customers can download the general Blackbell app where they will be able to find your platform. Register your own domain name - Registering your own domain with Blackbell is quick and easy. Give your violin teaching business a professional and slick look. By buying your domain name with Blackbell skip the technical configurations and get your own .com website in just a few clicks, we do the work for you. The Blackbell platform has an integrated calendar for you to keep an eye on your violin lesson bookings. Let Blackbell know when your violin lessons are available and it’ll do the work for you - Simple rules made with a simple set-up. 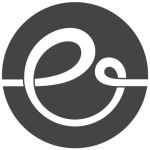 We have plenty of intuitive tools for you to create the perfect booking flow for your violin instruction services. Set up recurring payments and subscriptions. The days of chasing down clients, taking cards over the phone, or re-entering the same info month after month are over. If your client trusts in your violin teaching services, he can simply set up a recurring subscription. It’s billing made simple. Invite your team members to access the Blackbell interface of your violin teaching business and start working together effectively. Get your team together - Choose what part of your business they can access, whether they are an admin, take care of billing, edit content, manage customer service or/and process orders. For example, if you want to involve your accountant, simply give him permission to access Admin and Billing features and he will receive all invoices by email, if you want to add a violin teacher, invite him/her to access Orders and Customer service, easy. Blackbell will help you promote your violin teaching business. Engage previous and future customers, create marketing campaigns and sell via marketplaces. Email Campaigns - Select previous customers who have taken violin lessons with you and send them marketing emails by the bunch. Join one of the Marketplaces built on Blackbell - Increase your market reach by selling your violin lessons via nearby Blackbell Marketplaces. Select the page you would like to submit to that marketplace, and once your application is validated, you will start receiving bookings through that Marketplace into your inbox.